Smilebox is a simple way to share photos with everyone. – create slideshows, invitations, greetings, scrapbooks, photo albums or collages? – get access to over 1,000 customizable templates to choose from? – an easy way to share your photos online through email, blog, facebook or even print it out? 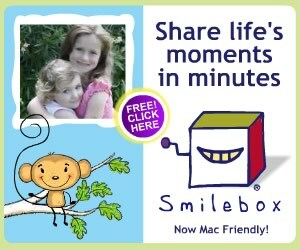 For a limited time, you can try SmileBox FREE for 14 days to see how you like it. Click below to learn more.